Long time no blog!! I know. I am shocking! I need a portable craft room as I have been here, there & everywhere for two months and unable to craft at my leisure. OMG. Wouldn't a nice crafty caravan be cool? One of those old style retro caravans like we see in the GLAMPER GREETINGS stamp set from the Holiday Catalogue! Don't forget it's never too late to request either the HOLIDAY CATALOGUE or ANNUAL CATALOGUE. Simply request one from my side bar. So onto this card for the week. I really wanted to have a play with the aqua painters, ink and watercolour paper and I am so happy with the result. I love how the paper can take so much water, because you can really get those cool 'pooled' effects. I have added 'layers' of colour by simply laying down the colour, drying with my heat tool and then adding more colour to increase the intensity. 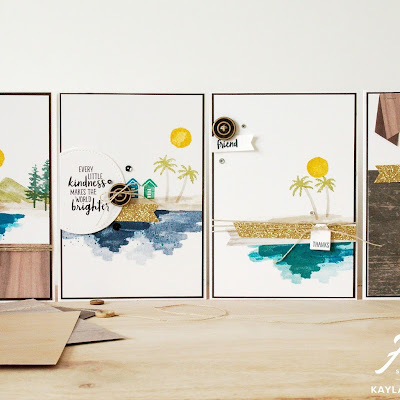 This card was more or so made to just have a play with products! That's how you learn new things. 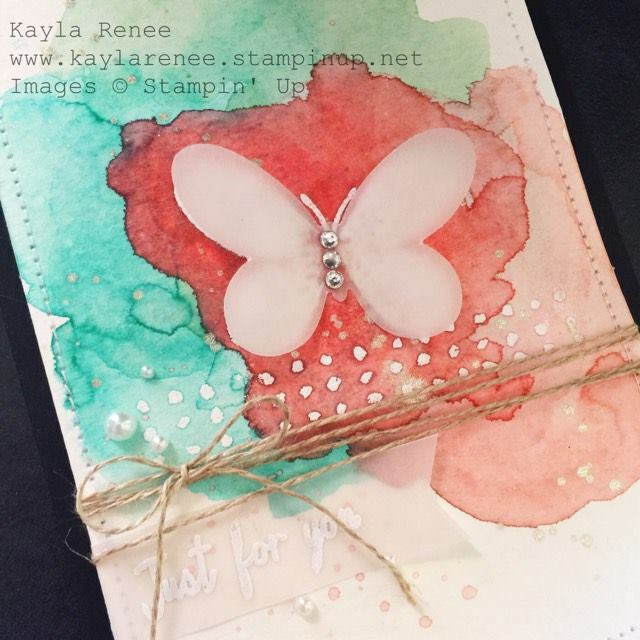 I made this card for Kylie's Crazy Crafters Friday team highlights. Here's a link where you can view all the cards that are a part of this link up. 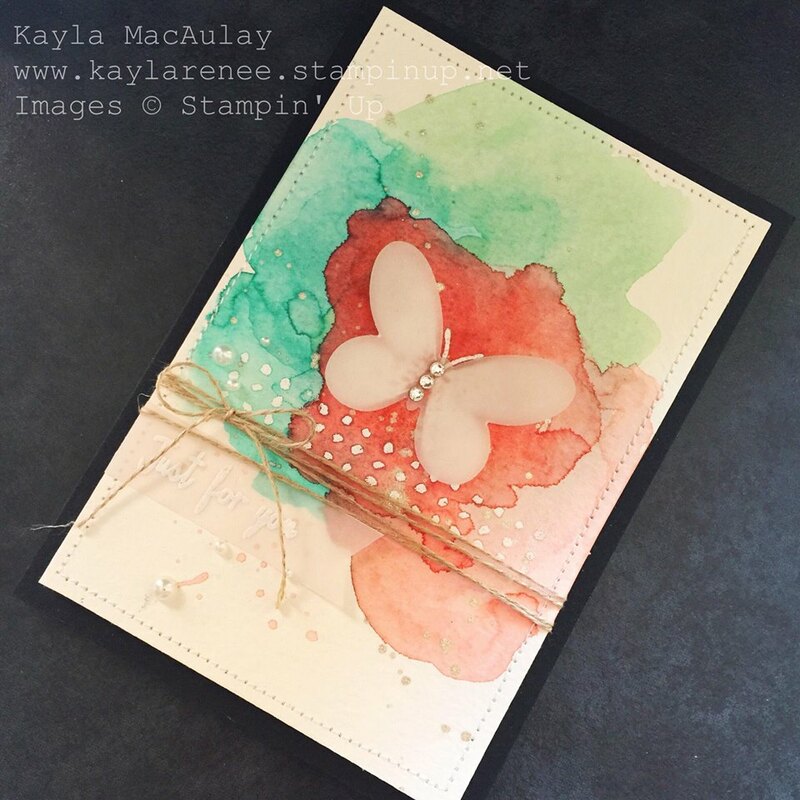 Please take time to vote for my card if you like it. 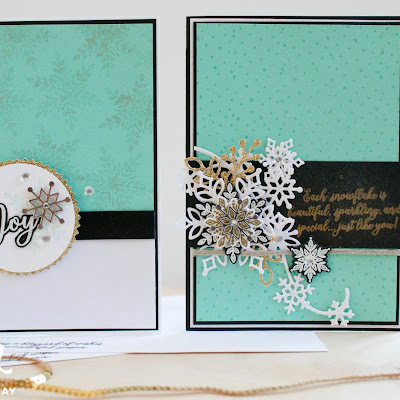 I have also had a play with the white embossing powder. I stamped the butterfly first and then added the watercolour to create a bit of a resist and then added a die cut vellum butterfly over the top to accentuate and soften it a little. 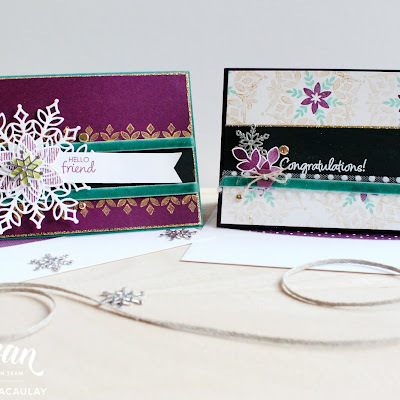 I added the title simply by stamping one of the gorgeous greetings and then embossing in white. I think the linen thread really finishes it off and gives it a handmade touch.